There's nothing like an individual-size dessert to make someone feel special. "You made this tiny cake just for me?" "Yes, and five others for myself." You don't have to say that last part out loud. 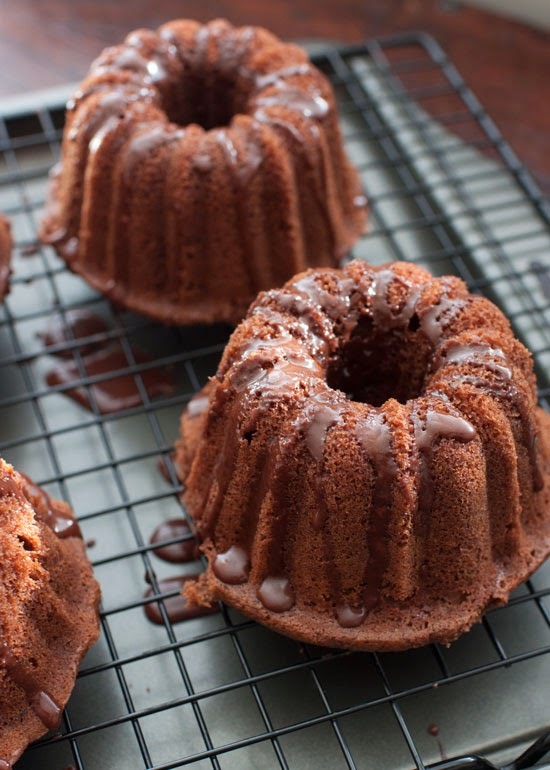 These little cakes are light and chocolatey, and the mocha glaze makes them even better. And since Valentine's Day is just around the corner, go ahead and put a heart on it. Preheat oven to 325 degrees. 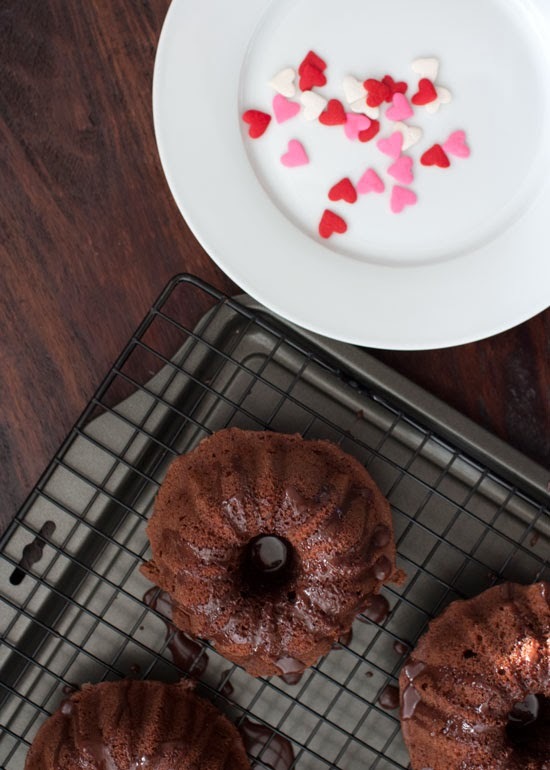 Grease a mini bundt cake pan. Whisk flour, cocoa, baking soda, and salt in a large bowl. Mix milk and sour cream in a small bowl. Cream butter and sugar with a mixer until light and fluffy. Beat in eggs, 1 at a time, then vanilla. Reduce mixer speed to low, and add flour mixture, alternating with milk mixture, ending with flour. Spoon batter into pan evenly. Bake until a cake tester comes out clean, 25 to 30 minutes. Let cool in pan on a wire rack. Invert and continue to cool. Makes 6 mini cakes. Whisk all ingredients together until smooth. Immediately drizzle over cakes and top with sprinkles or mini chocolate chips. Yum!! I love the little heart detail! Adorable! Oh geez, this looks so good. 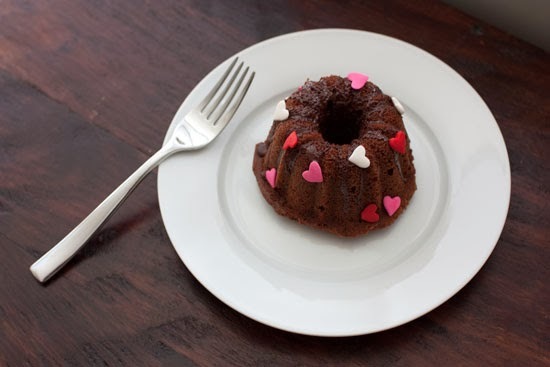 I need to get some mini bundt cake pans like that! I wish I knew how to adapt things to the paleo diet! I want these so badly but am eating paleo right now! Ahh so cute!